This is an unusual publication in that it contains three language versions of the same text: the first 20 pages are in English, middle section in Estonian and the last 20 pages in Finnish. 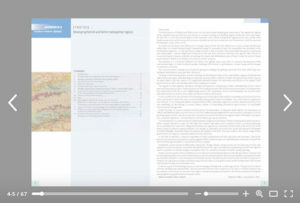 A special layout of the table of contents was made to help with navigation. Nearly all the pages have large volumes of text, tables and charts, so there was limited space and opportunity for graphic elements. 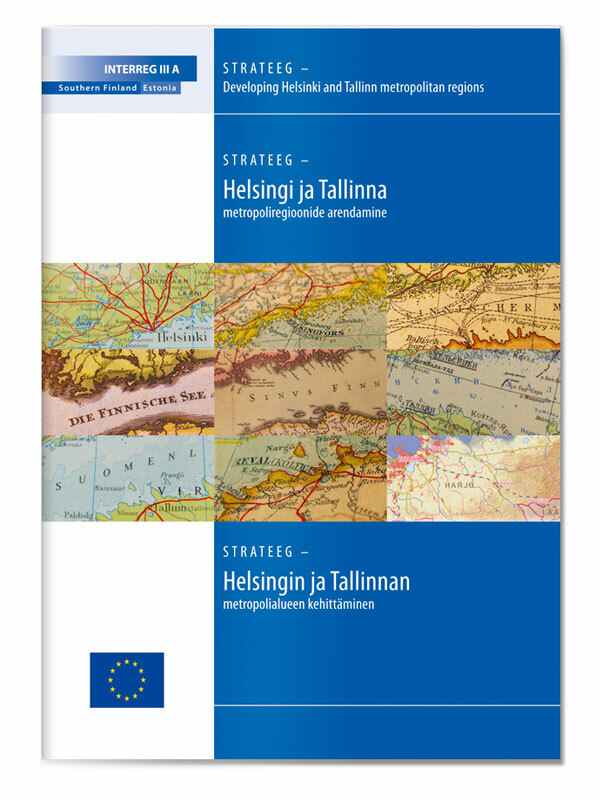 To communicate the parallel, interlinked yet very different histories of the cities of Tallinn and Helsinki, I used a selection of maps of the Gulf of Finland ranging from modern to historical, and also different languages. This cover design device is used in the index pages and helps differentiate between the 3 language sections of the publication.